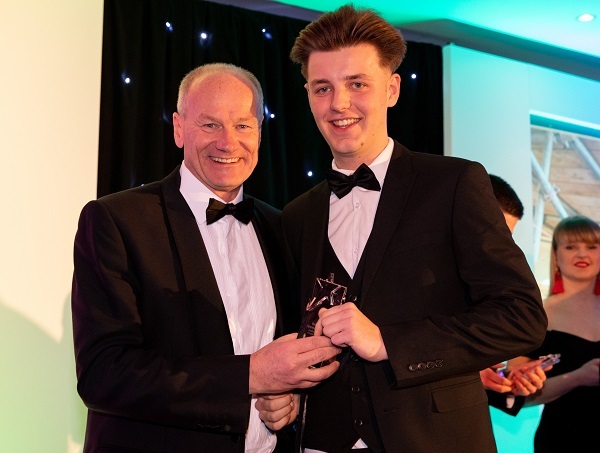 Patrick, from Cherry Hinton, has progressed to Level 3 of his apprenticeship, and recently won Apprentice of the Year for his region, Northern Home Counties, at the Bovis Homes Annual Awards 2019. He said: “I’d definitely recommend an apprenticeship to others. It’s a route you don’t hear much about, in housebuilding and other sectors. “Bovis Homes attracted me as it seemed a great place to learn the trade and how to build a house. It has a family ethos and every manager I’ve had has been very supportive. “They need to do more in schools to promote apprenticeships and support interested people towards that choice. “Some pupils are very hands-on and there’s a shortage of tradespeople – but no-one’s broaching it. The word needs to be put out there and companies and colleges need to visit more schools. “There are a lot of youngsters who sit at home because they’ve left school before Sixth Form and they don’t know about the opportunities that are out there, particularly in housebuilding. Speaking of his award, Patrick added: “I couldn’t believe I won at first, it didn’t feel real! It was a great celebration and I got to meet all different types of people within the business. Patrick spends one day a week at training provider Construction Training Specialists Ltd in Norwich, learning theory and taking part in practical assessments while improving his Maths and English. He works four days a week at Bovis Homes’ Wootton Park location in Bedfordshire and now aims to climb up the career ladder and reach management level at the developer. 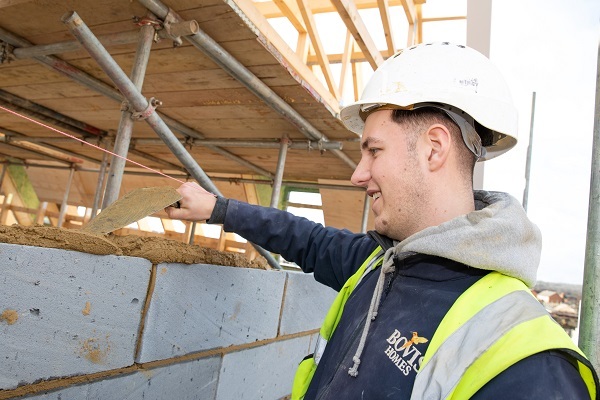 Since starting his apprenticeship at Bovis Homes in 2016, he has learnt about all aspects of bricklaying, including cavity walls, window openings and wider topics, such as National House Building Council (NHBC) guidelines. Patrick said that his success at Bovis Homes’ annual awards ceremony in Gloucestershire was his greatest achievement to date. Outside of work, the Cambridge United fan travels to most of his team’s games and plays centre-back for his local club. Hayley Waldron, functional training manager at Bovis Homes, said of Patrick’s achievements: “Patrick is a vital member of our team in Bedfordshire and has progressed leaps and bounds since starting two years ago.